The Australian National University has announced divestment of $16 million in shares in seven Australian fossil fuel and mining companies. The Council of the University has agreed to a proposal by Vice-Chancellor Professor Ian Young AO to divest following an independent review of equity investments under its Socially Responsible Investment Policy conducted by the Centre for Australian Ethical Research (CAER). The companies the university will be divesting from are Iluka Resources, Independence Group, Newcrest Mining, Sandfire Resources, Oil Search, Santos and Sirius Resources. The investments amount to around 5.1 per cent of the University’s Australian equity holdings and approximately one per cent of its total investment holdings. The University Council also decided to outsource management of it's domestic share investments and to undertake a selection of an investment manager assessed on their ability to adhere to the university's Socially Responsible Investment Policy. 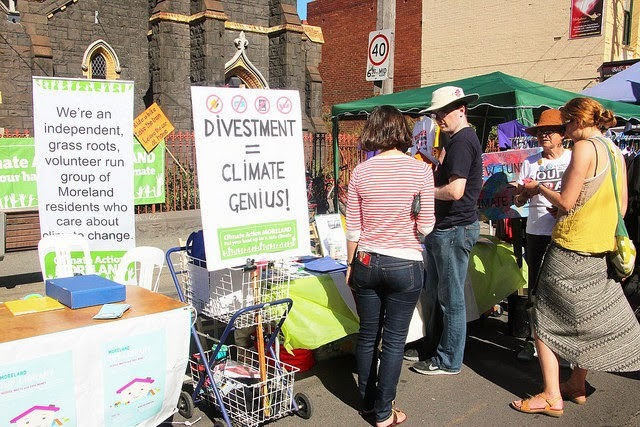 This divestment follows Sydney University, the Uniting Church of Australia and industry super fund HESTA making announcements to restrict or divest from sossil fuels in recent months. On August 25 there was an announcement by Sydney University for an investment ban on coal after a campaign. There was also a decision taken on divestment from fossil fuel mining by Uniting Church of Australia. In the middle of September HESTA announced restyrictions on thermal coal investments - a progressive implementation of a restriction on investments in thermal coal, across all it's funds. HESTA is the Australian industry superannuation for health and community services.